Aufgenommen am 04.01.2012 um 20:23 Uhr. 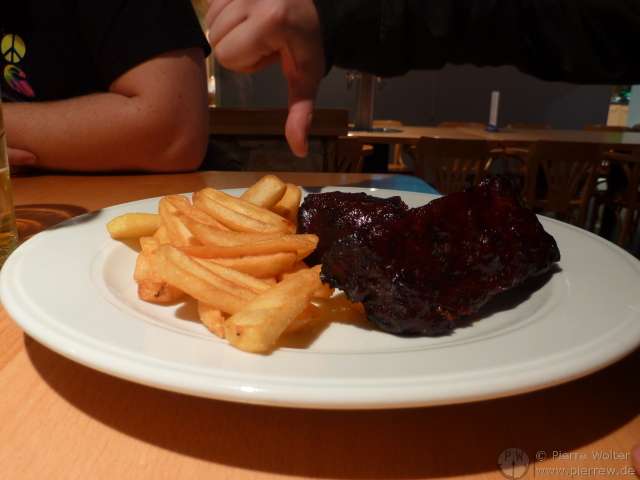 04.01.2012: All you can eat Spare-Ribs? All you can eat spare ribs? Seriosly? 2 Small ribs on a plate with waiting 15-30 mins for each new portion? Thats not a real all you can eat - more like a "all you can wait".